Jared Unzipped: How Does An Atomic Clock Work? We all know the importance of clocks. They keep us running on time. Without them, we'd miss soccer practice and school, dentist appointments and weddings. The clock is a highly important tool, perhaps in the upper echelon of humanity's greatest inventions. But what about atomic clocks? 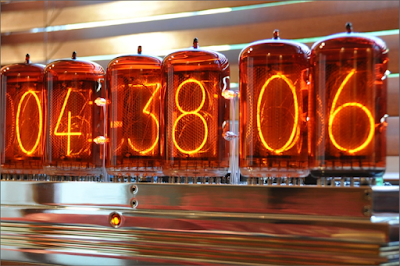 Just to alleviate your fears... no, atomic clocks don't run on nuclear power. The base function of time-keeping with an atomic clock is grounded in atomic physics (not nuclear physics as many may believe). Using the electromagnetic transition frequency found within atoms, an atomic clock bases its mechanism of measurement against this standard. More often than not, atomic clocks rely upon the microwave signals that electrons emit in an atom when they change energy levels. 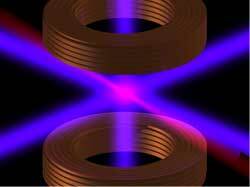 So how do atomic clocks work? With lasers. Coooooool! Pew. Pew. Lasers are so rad. Using captured atoms in a microwave-filled atomic fountain (a cloud of atoms tossed upwards by lasers in the Earth's gravitational field), atomic clocks employ said lasers to slow atoms down dramatically. In fact, the atoms are slowed to nearly absolute zero. That's frigid! Once the atoms are slowed to almost a standstill, the are probed to measure the time difference between the electrons changing their energy level. At this point, you may be asking "Jared, what atoms are used to measure time in an atomic clock?" Good question! 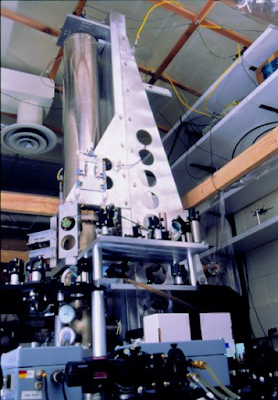 Atomic clocks rely upon a standard measurement found within caesium-133. As the only stable isotope of Caesium, the International System of Units (SI) defines the second as the duration of 9,192, 631, 770 cycles of radiation relating to the transition between two energy levels of the caesium-133 atom. That's a lot of technical jargon, but essentially, the most accurate time measurement known to man is all thanks to the element caesium. Because atomic clocks measure the second on the atomic level, they are the most accurate time measurement tools on the planet. The National Institute of Standards and Technology (NIST) is the chief time keeper for the United States, through which much of the world also relies upon. Their current premier clock, the NIST-F2, has been online since 2014. Current evaluations of NIST-F2 place its accuracy at an amazing 300 Million years before it will lose a second. If you've ever synced your computer's clock to internet time, then you may have noticed the time.nist.gov weblink. This is the NIST's website, which helps keep all of our computers, mobile devices and GPS units running accurately. Thanks NIST! And there you have it. Atomic clocks keep our technological world running accurately and efficiently. When you look at your smart phone for the time, or map your coordinates on a GPS device, you're employing lasers and atomic physics. Doesn't that feel awesome? !